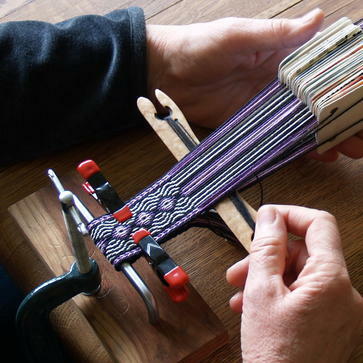 Join a local group of weavers to learn about card-weaving (also known as “table-weaving”). This ancient method of weaving strong narrow decorative bands offers a huge array of patterns and the equipment is inexpensive. Drop in to see what is happening or email Gayle Torrey for more information.